A Spaghetti Dinner and Dessert Auction--What Fun! We Connect With Bears, What About You? Sunday Sharing: Lie, Lie, Now you Die! 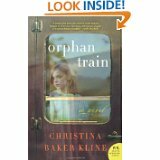 Whose Favorite Read for March Is It? Sunday Sharing: 4 Questions--Can You Answer Any? Last Friday I knew something was up when our mom fed the dog but not us cats. She was being very strange but still pet me, she just would feed me. I was extremely hungry too because the day before I got a very early supper at 4:30 which, by the way, my dad gave me. He NEVER feeds us cats, it's always mom. All aboard the Pet Taxi! Finally, about 8:00 a.m. she finally put just 3 pieces of food in my bowl and put inside the cage (I normally eat at 4:30). She had been putting my food in there every day this week instead of my usual place on the table in the den. 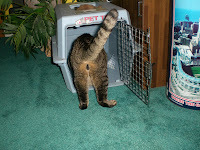 I was starving so of course I walked right in for it only this time, she closed the door behind me and I was trapped! This made me very agitated and I knew right away it was going to be a horrible vet day. Sure enough, I was transported to the vet to have my few teeth cleaned and they poked me, drugged me so I slept and wouldn't feel what they were doing, took x-rays and kept me there all day until 4:00 p.m. when my mom finally came back for me. I was so upset, immediately went up to the den to hide under the desk and pout. Mom found me after about an hour though so then I went down to a dark corner of the basement to hide and it took a long time for her to find me there. When she did, I gave her a big hiss and she left me alone. Got Certificate of Bravery and TREATS that I didn't check out until the next day. Yea, a second cat tree for us! I tried out the top level too once Spunky got off. 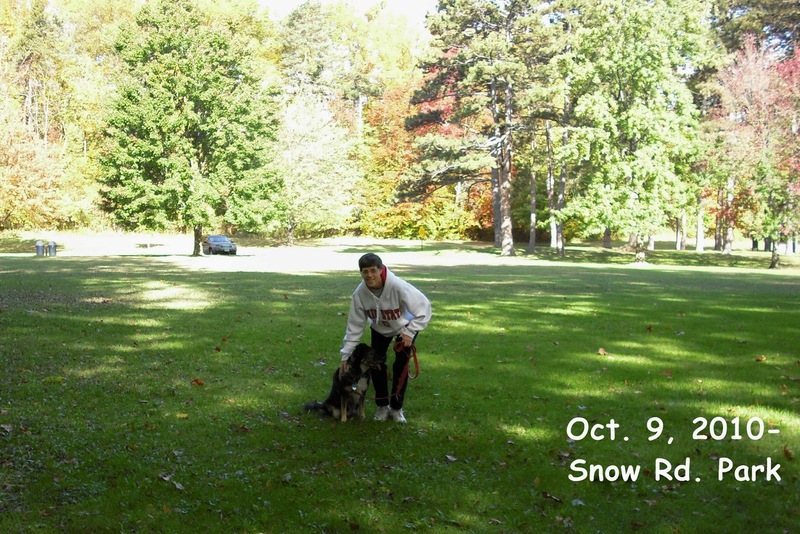 This is Snow Road Park where I ran. 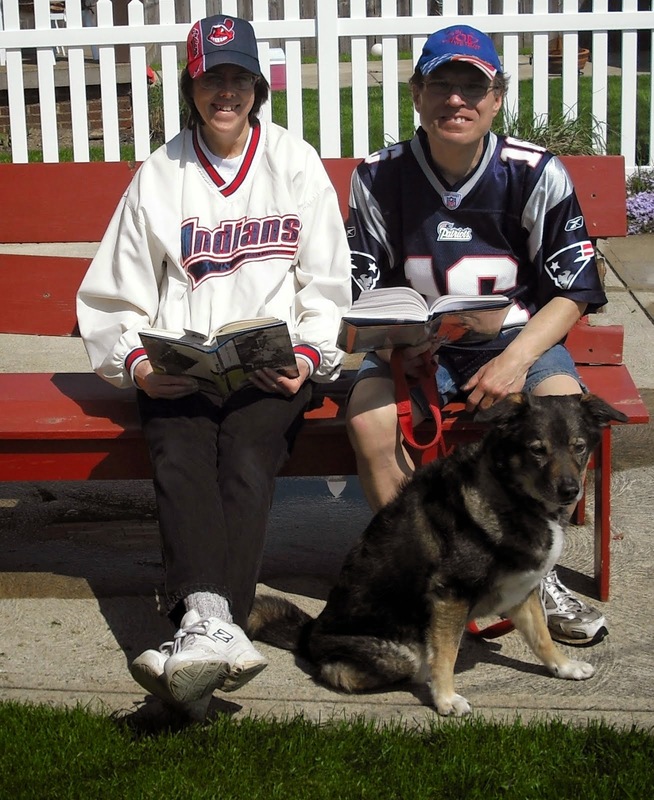 Hearing about the lost doggie in our neighborhood saddened me very much, but also reminded me of a very fun adventure I had on August 8 of 2009, shortly after moving in with Karen and Gerard which I thought I would tell you all about today for Monday Mischief. Saturdays are always good for me. I was up early with Gerard and went on two walks in the neighborhood even before Karen had breakfast! Then, we all went to the Metropark nearby. I recognized the trees along the park road and got very excited! 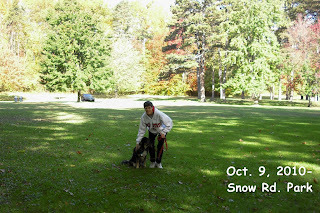 At first, things started out a bit slow because Karen kept making me wait so I would not pull on the leash, but then I got the hang of it and since I was doing so well, we crossed the main road and continued on the next section. Now here comes the best part of all! We went over to a bench to take a little rest and everything was very nice. Karen was holding the leash, but all of a sudden, like magic, it just came off so off I went! Can you really blame me? After all, I never get to run free in the city and the park was so big and beautiful, so much to explore! I ran and ran and ran down the road and out into the wide open grass. It was so much fun!!!! I heard Karen and Gerard calling me to come, but I was having way too much fun and they sounded kind of upset too. I took off around the bend and had ran free like a wolf! After a little while, I turned around and headed back to a nice guy who was working on the shelter. I stayed with him until Karen and Gerard caught up to me. 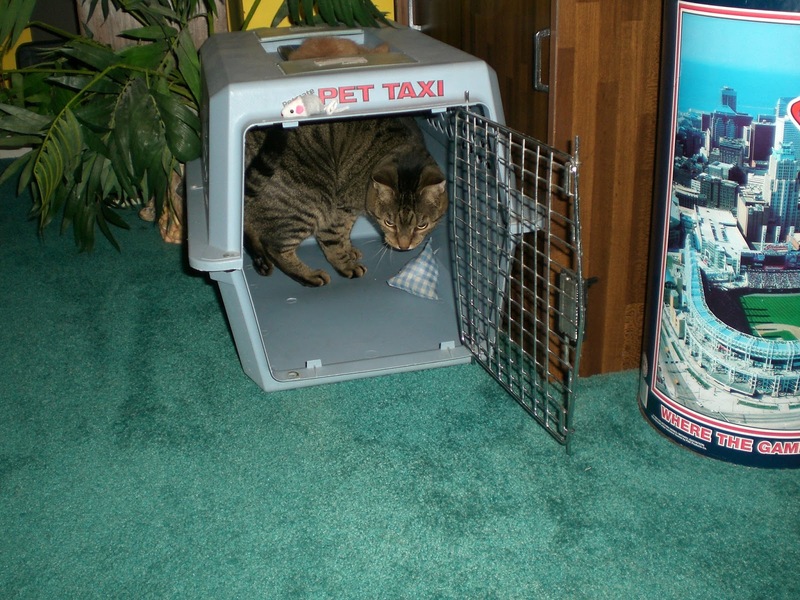 Then I stayed with Gerard while Karen went back to get the car because they did not trust my leash anymore. 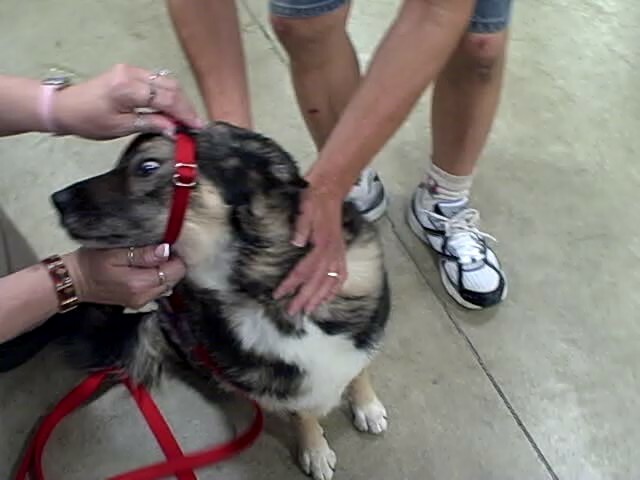 Before my training class at PetSmart, the trainer helped us pick out a brand new red collar and a new red leash that is thicker than my old one. In our class that day, we worked on the "come" command. I did really good in class with it! I even won the challenge against Odot because I came and sat before she did. I love competition and getting those treats! Killer and Chewy were both friendlier to me. We got to walk a lot and I ate some of Killer's treats that were just laying on the stool. I am a treat thief--ha ha! 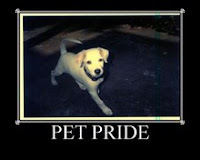 Everyone thought it was funny except Killer who was a very small scared dog with lots of issues. I was not afraid of him at all. This was the biggest mischief day I ever had in my life and will never forget how much fun it was! (This story is on page 32 of the book Karen helped me write using Blurb as a surprise for my dad on Father's Day: Abby Finds A Good Home! 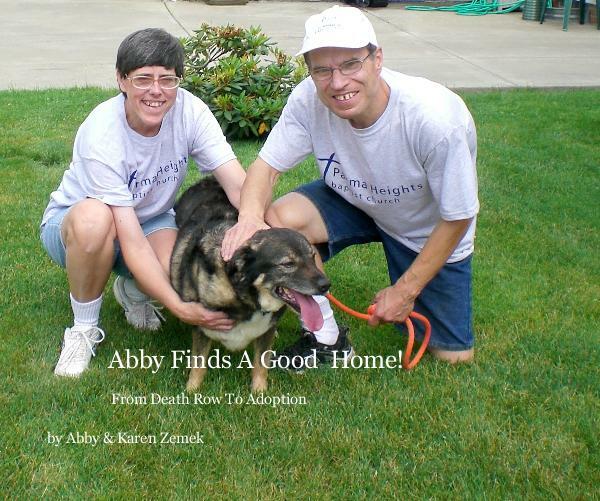 From Death Row to Adoption. Joining up with Monday Mischief. (22) Saul preached with such power that the completely confused the Jewish People in Damascus, as he tried to show them that Jesus is the Messiah. (33) Later some of them made plans to kill Saul. Saul is a great example of a transformed life after a personal encounter with Jesus. He was a well educated Jew on his way to Damascus to persecute the Christians who went there after fleeing Jerusalem because of all the persecution. In his mind, he was doing what God wanted. But then, on the way Jesus spoke to him from above and he was blind for three days. God prepared another believer, Ananias, to restore his sight and Saul's sight was restored, he received the Holy Ghost and was baptized. His life changed 180 degrees as my chosen verses of the week show. I find it absolutely amazing and also encouraging that Jesus can make such a huge difference in one's life. Therefore, if any man be in Christ, he is a new creature: old things are passed away, behold, all things are become new. 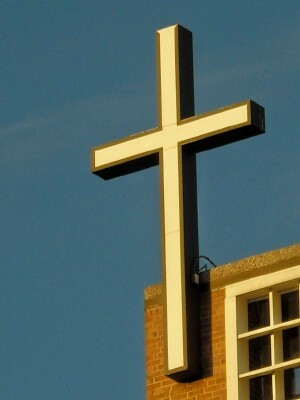 (I Corinthians 5:17 KJV). When I repented of my sin and trusted Jesus as my Savior at age 7 or 8, I did not have a terrible past with a lot of major sin, but I was guilty just the same and needed a Savior so my sins could be forgiven. I asked Jesus to be my Savior and forgive me which he did according to His word. Ever since, my thinking was changed and I sought to please God and live in obedience to His word as I yield my will to His. I am very happy to have come to know Jesus as my Savior at an early age and consequently, He has kept me from lots of problems and heartache that are pretty common for many people. Feel free to share in the comments about a scripture highlight you came across this week or share your thoughts about this post. If you are a "new creature" I'd love to hear about when that happened in your life. There were so many great looking desserts! 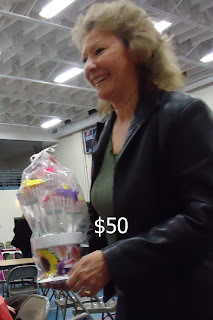 I went to the spaghetti dinner/dessert auction at church last Sunday determined to bid this year but didn't want to go over $50. It was a fun time and the youth raised a lot of money for their mission trip to Haiti and camp for this summer. I love seeing the boys I taught when they were in fifth grade continue to be actively involved in the youth group. There were over 50 desserts auctioned and when bids reached $100, all the servers did a cute little dance. If someone bid $200, they got to smash a cream pie in the face of a Pastor of their choice who were all good sports. 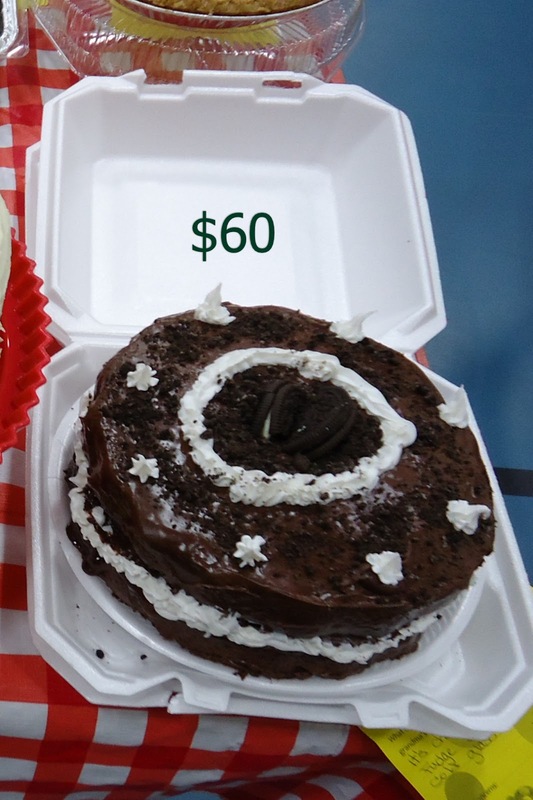 The Oreo cake was the first item I bid on but it went for $60 to a kid one table over from me. 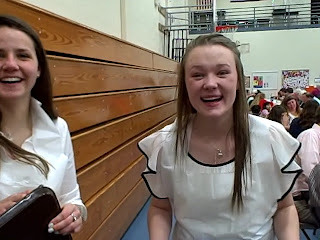 Four of the teens were auctioned off: two for yard work, one for housework and one for child care for four hours each. David and John (the two for yard work) were the first item to get a $200 bid, but the lady who bid said she didn’t want to throw the pie so she let John do it. He chose to throw it at his dad, our main Pastor. The spaghetti was good too. The teens were the servers and the Family Life Center was full with a good crowd of people all willing to support the youth. It was a fun afternoon and my server, Mallory (a fellow puppeteer), was kind enough to keep bringing me brownies for dessert—I had four! 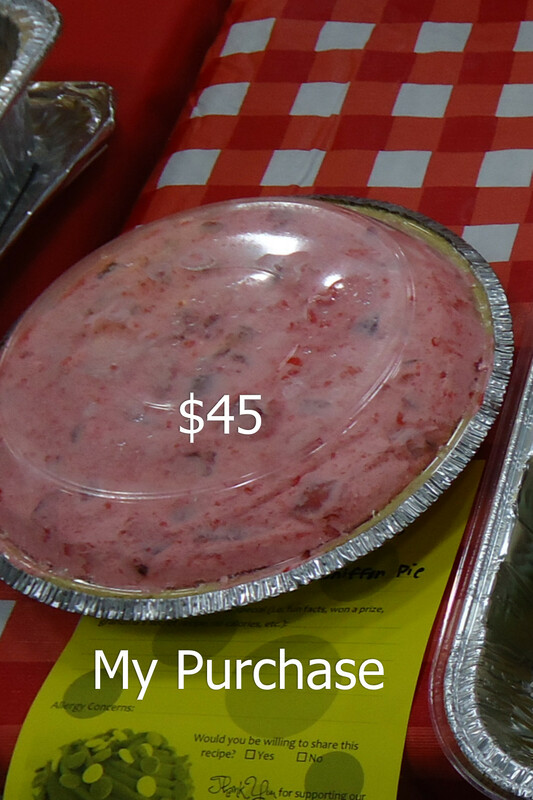 I was excited to bid this year and got the item I most wanted for just $45: a strawberry chiffon pie! It was a fun few hours from noon to 3:00, an hour later than anticipated! Lots of people went home happy with delicious desserts. 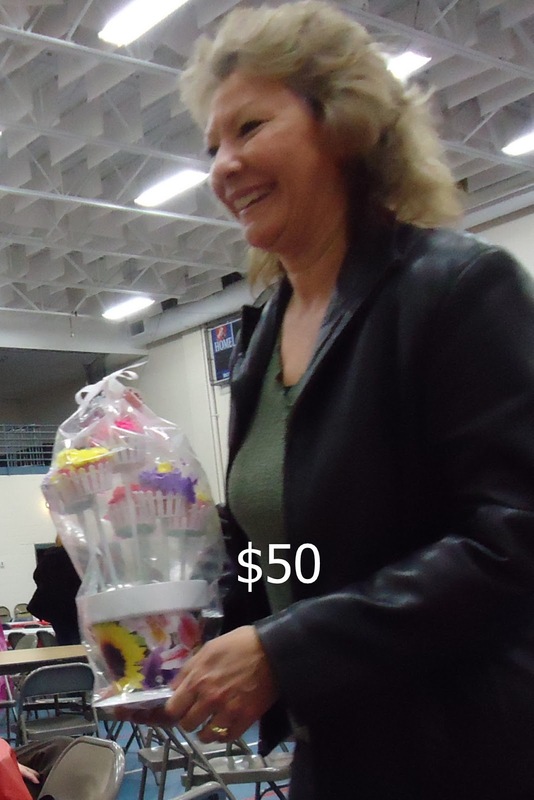 This lady who was at my table bought the cupcake bouquet--actually, her husband bid on it. Another couple at my table bought the coconut cookies and a cake. P.S. I tried to take notes and record all the bids but sometimes it was hard to tell which cherry pie it actually was although the bunt cake in the box sold for $30, there was another chocolate peanut butter bunt cake with a container that went for $200. Since I didn't have a good picture of that one, in the video I used the bunt cake in the box for the $200 bid. This is a great fund-raiser and I am already looking forward to bidding again next year! 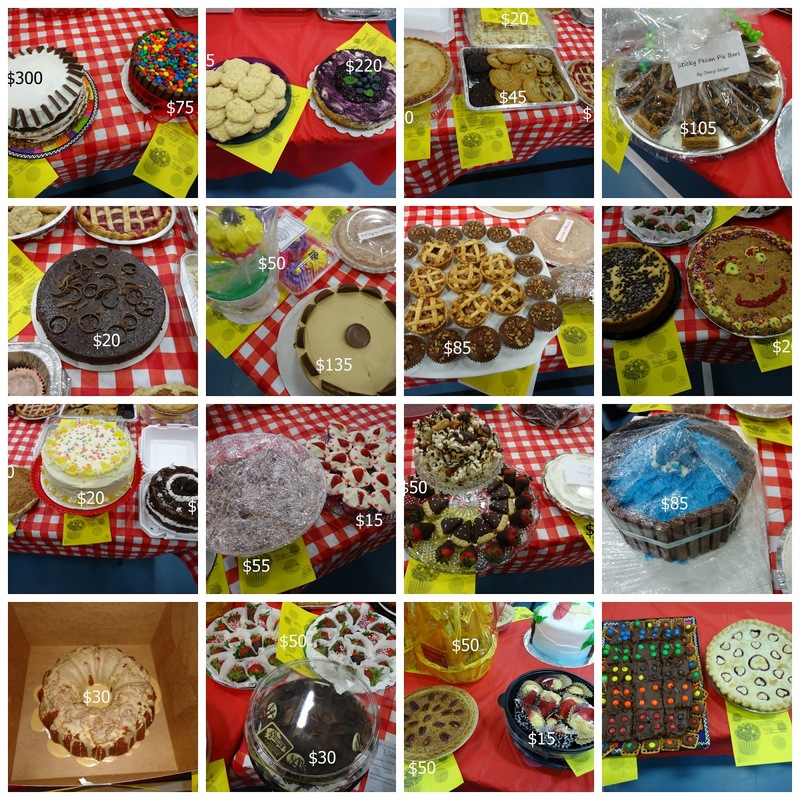 How much would you bid for a cake or cookies? Here's a link to Parma Heights Baptist Church where you can see upcoming events and learn more about it. This morning is stressful--Manny's dental cleaning is today which means (1) early supper yesterday (couldn't have anything after 6 p.m. so supper was at 4:30; (2) no breakfast for Manny this morning so I'm making Spunky wait until later for hers when it's time to get Manny in the carrier; (3) getting Manny in the carrier is always stressful; (4) poor Manny will spend the majority of his day at the vets; (5) and I have to pay hundreds of dollars for this wonderful experience--UGH! Updated at 4:45 pm: Manny came through fine. Walked right into the carrier all on his own this morning, he was so hungry and thought I put his breakfast in there like I have been doing all week to get him primed. I misplaced Abby's small treat bag. I'll have to recheck my pockets in my pants and coats. I think it's in my brown jacket from when I went on a walk with her on Sunday--I hope! I've been giving her some bigger bacon treats for at home. Yesterday she found my bus pass lying on our grass which earned her a treat! It must have fallen out of my pocket when I took out my keys and didn't notice. Updated at 4:45 pm: Found the treats in my frown jacket. Wednesday was "Administrative Assistant Professionals Day" and our firm goes all out even starting weeks ahead! They gave us a delicious, huge breakfast one day, had gift drawings, and gave the staff $25 gift cards. Then, two of my attorneys who I work for directly came through with cash and two Petco gift cards! I think I see an additional cat tree in our future! My trust #1 tool, duck duct tape has never let me down until now. We have a kitchen towel rack that keeps falling down so I tried using the duck duct tape to hold it, but it still keeps falling. My van mirror fell off while driving a while back (some of you may remember I mentioned that), well the duck duct tape works for several days, but then it gives way and I find the mirror hanging again. I'm taking it to a car repair place nearby today and hope they can fix it right. Days off are nice, but it seems every time I'm off, lots of money is spent! Updated at 4:45 pm: Thanks, Sandee. I did mean "duct" tape. I saw it spelled as "duck" tape somewhere and thought I had it wrong, but apparently I had it right after all. I am talking about sleep here, not a night out. Some may think a great night is when we sleep soundly all through without waking up and have pleasant dreams. For me, that's very good, but not great. Last night I had a great night's sleep! Yes, I slept well, dreamed of playing softball which I always enjoyed doing and felt some whiskers against my face. My cat, Spunky Doodle, came by to visit me. She kneeds the pillow and walks around a bit. I love when she comes to visit me during the night! 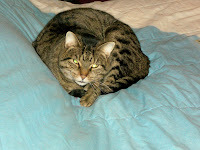 Lately, she has been coming on the bed and lying next to me, letting me pet her real nice for the whole night!. Her fur is so soft and she just lays there still, letting me pet her. She settles in against me and I doze off with my hand on her. She used to stay about an hour, but lately she's been staying the whole night! I don't mind it at all. She doesn't come every night, at least I don't wake up every night, but when she does, it really makes me happy! Manny has been coming every night too, sleeping either on my legs, between my legs or next to my legs. Sometimes I get trapped and can't move without disturbing them, but fortunately, this is rare. Sometimes she'll even sit up and pet me too! Joining Mama Kat's Writer's Workshop: Write a post inspired by the word "night." These fliers are up all over our neighborhood and have been for a couple weeks now. I still see new ones popping up in businesses so am pretty sure this family is still missing their dog. I feel so sad for them because I can imagine how distraught we would be if we ever lost Abby. I pray that this dog finds its way home and is okay. I think the family did a fantastic job on these fliers too--this is the best one I've ever seen and they are everywhere! It looks like it does have a tag around its neck. On the flier, they ask that we post it on Facebook, so I figure that's the least I could do. I am pretty confident that if Abby ever did get loose, she would head for her friends at our vet, Bartels & Busack, but we also got her a microchip too after the day at the park when her leash broke and she ran and ran and paid no attention to our calls for her to come. 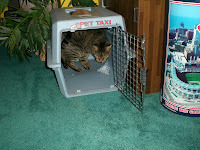 That was a scary day (see What a Scary Morning--Almost Lost Abby)! Gerard and Abby have been on the lookout for this dog but haven't seen it yet. I hope someone finds it and returns it to its owners soon! Does your dog have tags and a microchip? Do you think this dog will get back home? Find out what your spirit animal is and leave your description in the comments. Let's see how many different ones we can get! Ha, ha, you can't get me now! Joined up with Aww Monday hop. Then Job proceeds to list all the good things he has done. He did not let his friends make him doubt. He was confident that his deeds were pleasing to God. We all know that bad things do happen to good people and Job is a good example of this. Job did not worship God because of all the good things God gave him like Satan accused him of doing. He worshiped God because He is the almighty God, creator of the universe and everything in it! His ways are so much higher than our ways and His love and compassion so much deeper! He is alpha and the omega, the beginning and the end! He lived a righteous life, even when he lost everything and was physically sick. Job questioned God but did not blame God. I ask myself, am I living a life like Job: doing those things that God wants no matter what my circumstances? Share in comments a highlight from scripture you came across this week or feel free to share your thoughts about this post. Mr. Wonderful discovered a website where you can follow authors and it lets you know when they have a new book out. It's authortracker.com. I tried registering several but soon found that all authors are not included. I decided to re-post some of my old posts on My Funny Dad, Harry blog because I started it back in 2007 and figure there have been lots of new bloggers since then who haven't seen them. I'm still trying to figure out how to get the share buttons added over there like I have here and on our book blog. This is the funniest video I saw this week and hope you will check out adoptable kittens at a shelter near you if you could give a couple a good home. This is kitten season and shelters get an abundance of kittens in the spring. (Our Spunky Doodle was born in the spring.) Kittens are very entertaining, amusing and grow into nice cats that become great companions! It's nice to get two so they can play with each other. 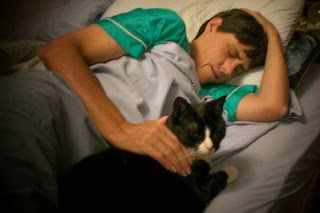 I first heard about this America's Favorite Veterinarian Contest over at The Conscious Cat where you can read all about it. The deadline is June 1 and I intend to enter Dr. Hart (saved our first cat, Moe) and Dr. Busack (saved our sweet dog, Abby). I happened to look at our blogging stats this week and was surprised we actually had readers overseas so added the translate button widget. I think this is because of the different blog hops I participate in. 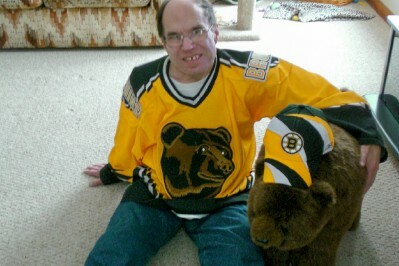 The Bruins pregame show is something to see at their first game after the Boston Marathon bombings. The Fans actually sang the National Anthem! Boston Strong! I just noticed my Google Connect Followers widget is empty! It saws I have no followers! Did y'all quit following me all at once??? I still see it on other blogs. Oh, never mind, now they showed up again. Wonder what's going on! Parma, Ohio changed waste pickup companies to Republic Services to do more recycling and now we have to all use two big heavy clunky trash cans. At least they have wheels. We already had six and now these makes eight! It was much easier to just throw all our garbage in those black plastic garbage bags because then we didn't have to drag them back or worry about them rolling around in the street on windy days. The blue cart is for garbage and the green cart is for stuff that can be recycled: paper, cardboard, aluminum or steel rinsed food and beverage cans, glass food and beverage containers, plastic detergent and soap containers. For yard waste, we can still use our old cans or brown yard waste bags not to exceed 40 lbs. I get home from work and still see all the cans lined up on our street without being emptied. Great start with the new garbage service! Turns out they went on strike!!! I'm glad Mr. Wonderful takes care of the trash so this doesn't really affect me, just an added task for him on garbage days. We will continue to give our recycling stuff to Parma Heights Christian Academy so it's just one can he has to fuss with. Life just keeps getting more and more complicated it seems. Does your city make you use special cans and sort the recycle stuff? Abby and Manny Relaxing on the Couch Together--Why can't people all get along? Find more Wordless Wednesday and blogpaws Wordless Blog Hop posts or link up your own. Mr. Wonderful took this picture and told me to post it. He thought this outfit was hilarious and wanted to see what our readers think of it. (I think it's okay until I get to the furry slippers.) It's all wrinkly because it was buried in the bottom of my drawer. Hopefully I won't get a "come as you are" party invitation tonight. As you can see, I am right in the middle and when this was loaded on YouTube, both Spunky and Manny were cut off (I admit it, so was the title). Yup, see the cats are now in the middle and only part of my head shows when loaded on YouTube. Okay, the title shows too on this one, but don't you all like the first one better with me in the middle? If you watch it on your TV, then you get the whole picture, but on YouTube and mobile devices, only the middle part shows. Does anyone watch YouTube videos on their TV? We don't. At least I have my own playlist with all my videos so if you are looking for videos of me, you can quickly find them! Woof! Woof! 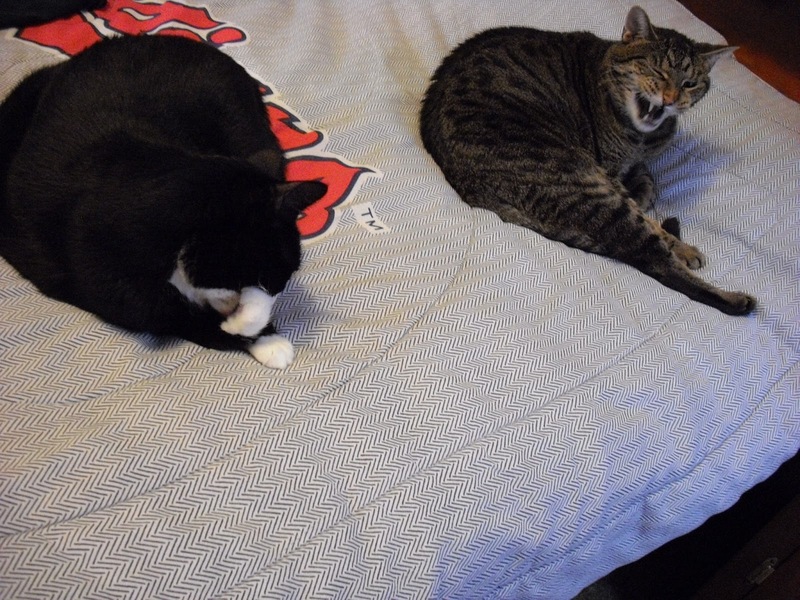 Manny: Enough already, everyone knows CATS RULE! Spunky: We have a playlist for us cats too, with 47 videos. How many do you have, Abby? 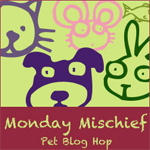 Join in Monday Mischief and AWW Mondays with us. This week I was reading Acts 4 and 5 mostly and although I once again had a difficult time choosing just one highlight, I decided to go with the true account of Ananias and Saphira because I made this video in one of my Sunday School classes with the boys using puppets to retell the story. To my great surprise, it is my most popular video on YouTube! (34) Neither was there any among them that lacked: for as many as were possessors of lands or houses sold them, and brought the prices of the things that were sold, (35) and laid them down at the apostles' feet: and distribution was made unto every man according as he had need. (3) But Peter said, Ananias, why hath Satan filled thine heart to lie to the Holy Ghost, and to keep back part of the price of the land? (4) Whiles it remained, was it not thine own? and after it was sold, was it not in thine own power? why hast thou conceived this thing in thine heart? thou hast not lied unto men, but unto God. (8) And Peter answered unto her, Tell me whether ye sold the land for so much? And she said, Yea, for so much. (9) Then Peter said unto her, How is it that ye have agreed together to tempt the Spirit of the Lord? behold, the feet of them which have buried thy husband are at the door, and shall carry thee out. (10) Then fell she down straightway at his feet, and yielded up the ghost: and the young men came in, and found her dead, and, carrying her forth buried her by her husband. Isn't it interesting, that Peter lied about knowing Jesus right before his crucifixion and here he confronts Ananias and Saphira about lying? Peter was forgiven, Ananias and Saphira were struck down dead. Peter said they lied to the Holy Spirit and not to men, but unto God. The fact that Saphira stood by her husband and backed him up did not excuse her. A good wife should help her husband do what is right in the eyes of the Lord. Who knows, perhaps it was her idea. The scripture doesn't really say whether Saphira talked Ananias into do this or not but it is obvious, both knew it wasn't the whole price of the land. Integrity is such an important trait for believers to have if we want to make an impact on our culture. Just last week, Pastor Thompson said, "We have no message if we have no integrity." Perhaps this is why the Lord made it clear his followers should not lie by striking down Ananias and Saphira as the church was just beginning. Feel free to share your thoughts about this in the comments or a scripture highlight you heard or read last week. We have a lot, but not near as many as the town of Newton got: 64,000! 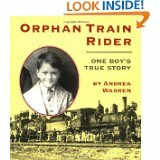 Sent them to St. Jude and other children Hospitals. I'm thinking, I could share our collection and highlight one a week like Beth Ann does with her teapots on Tuesdays over at It's Just Life. What do you think? Do you have a collection you could share? Mr. Wonderful was shocked when I had no idea who Annette Funichello was that he mentioned who died because I never watched "The Mickey Mouse Club." I am familiar with the funny hats with the ears and remember some of the song, but I was a Captain Kangaroo and Captain Penny fan. I actually found the old song on YouTube--cracked me up! I was surprised when Mr. Wonderful told me he was in the club and was pretty sure he had a pair of those ears! Did you watch the Mickey Mouse Club? I finally discovered our scanner at work can scan 2-sided copies automatically. Yeah! I've been doing those one side at a time manually (it doesn't come up that often). The latest is now that the post office will continue Saturday delivery. Wonder how the postal workers feel about this. I bet they were hoping to get Saturdays off! I finally got my picture header for my YouTube channel right (although Abby isn't very happy with it). You can find it easily by clicking on the "Video" tab above or searching for kzemek on YouTube. I am joining in with Mama Kat's Vlog prompt to introduce my YouTube channel. This was very hard for me to do and took me a long time, but I finally got it done even though I'm not real happy with it. Do you have a YouTube channel? If so, why not join in the Business2Blogger Just Push Record challenge with me in the hopes of increasing your subscribers. Please visit mine and consider subscribing to it; c'mon, everyone needs more junk in our inbox, don't we?. "How many subscribers do I currently have?, you ask. Glad you asked that question, the answer is 28. Just click the tab above that says "Our Videos" and it will take to our channel where you can subscribe (youtube/user/kzemek). Can you guess which of these is whose favorite read during March? I bet you can because I think these will be easy to tell. Here's the Answers (Click the link to read our reviews). Share your favorite read during March in a comment and let us know if you guessed right on these.